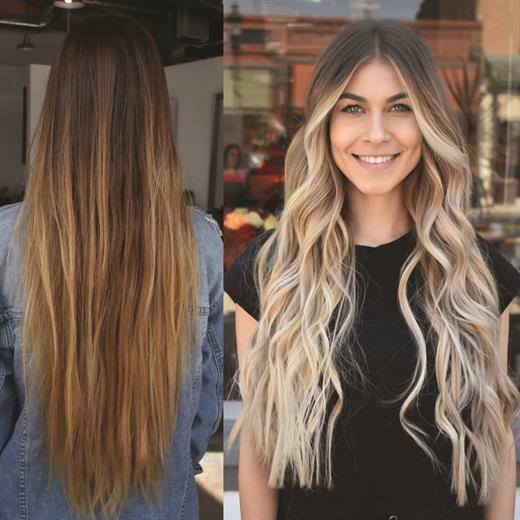 Erik Gutierrez inspired the masses on Instagram, his blonding and balayage melts are stunning. We named his a part of this year’s MODERN SALON 100 for his incredible talent, business saavy and cool-girl hair effects. better to that previous post. My favorite day to post is Sunday mid-morning and Monday evenings. How social media has changed my life: Clientele is like fishing—I treat Instagram, Facebook, Yelp, hashtags, photos all like bait. The more you have out there the more chances for bites, which equals appointments, which equals money, which equals a long-term client. If you reel in 30 new clients who come three to five times a year—do the math. The first time I was featured on MODERN SALON: I remember running around showing the people in the salon. As a person, business owner, father, husband and stylist, I’m extremely ambitious and tenacious. There were times I’d tag @modernsalon, and I would think to myself, “This is the one” and no luck. So when I finally got featured, it was a huge sense of accomplishment and validation. Before and after by @hairerik.